The early stages of adulthood should be filled with adventures. This is why exploring through international travel is important. There is a massive pressure for those in their 20’s to be focused on preparing for the rest of their lives with college, internships, and jobs. This is why it's important for them to take the occasional step back and take some time for themselves. While preparing for your career is important, twenty year olds of today should also be focused on discovering themselves, as well as other cultures. Traveling is an amazing opportunity for growth; however, it can be a great financial struggle for the majority of college students. We researched three international travel destinations that won’t deplete your bank account. 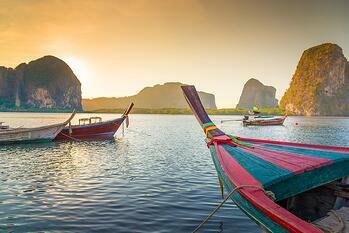 A plane ticket to Thailand often ranges from $800-$1300. However, once you get to your destination, you can live off of $20-35 per day (Including housing!). Some money saving tips in Thailand include: Eating locally, staying in hostels, and booking tours upon your arrival instead of prior to arrival. The most recommended things to do in Thailand include: relaxing on a tropical island, camping and hiking in Khao Sok National Park, visiting the elephant sanctuary Chiang Mai, and exploring Bangkok. You can also learn how to cook, scuba dive, and motor bike through northern Thailand. 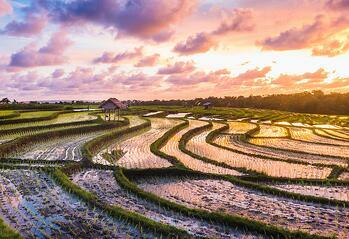 Depending on how far in advance you book your plane ticket, tickets to Bali will cost approximately $1,100-$1,500. However, you can stay in a hostel for as little as $9 per night or rent an entire Air BnB for $25 per night. Meals during your stay will cost about 75 cents to five dollars per meal. The suggested daily budget for Bali often ranges from $35 to $50 including housing. Some money saving tips include: eating the local food, bargaining, and staying in a hostel. In Bali, you can go hiking, diving, surfing, and bungee jumping. You can also tour temples, play with monkeys, visit a spa, do yoga, and even watch a Buffalo Race in Negara. 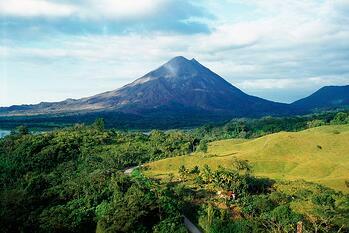 The cost of Costa Rica varies widely based on the time of year you travel. If you want to save money, travel to Costa Rica in between the months April to November (the off season). A flight to Costa Rica during the off season will cost approximately $500 while during the sunniest and most toured season is approximately $1,000. The suggested daily budget is $35-$50 per day (including meals and housing). Some money saving tips include: traveling during the off season, camping, eating locally, and avoiding tours. In Costa Rica, you can travel to Tortuguero National Park to see manatees or sloths and visit famous waterfalls in La Paz Waterfall Gardens. You can also zip line through the rainforest canopies, drink world renowned Costa Rican coffee, and walk through the jungle treetops at the Rainmaker Aerial Walkway. *Daily costs are dependent upon eating local food and staying in hostels. If you want to splurge there will be a slight monetary increase. Along with picking out inexpensive international travel destinations, there are also many great traveling tools to aid in saving you money. For flights, there are sites such as Kayak, Skyscanner, Google Flights, Rome2Rio, and Hopper to inform you of the least expensive plane tickets and when the best time to buy a ticket for your trip will be. For housing accommodations, there are sites such as Airbnb, HostelWorld, Priceline, and even Couch Surfing. We hope you have adventurous and safe travels! Get approved for a Platinum Awards Card through Cyprus and receive $1,000,000 travel accident insurance. You could end up saving hundreds of dollars just by having the Platinum Awards Card. Click HERE to find out more information.